You are here: Home / Title Matters / What does it mean to be a leader? People ask all the time, is there a course I can take to learn the title business. We do not go to college to be title examiners or escrow closers, we learn from others in our industry. The Illinois Land Title Association has many options for training and development classes for both title and escrow. They offer a series of classes to receive the designation of Illinois Title Professional (ITP) and/or Illinois Escrow Professional (IEP). 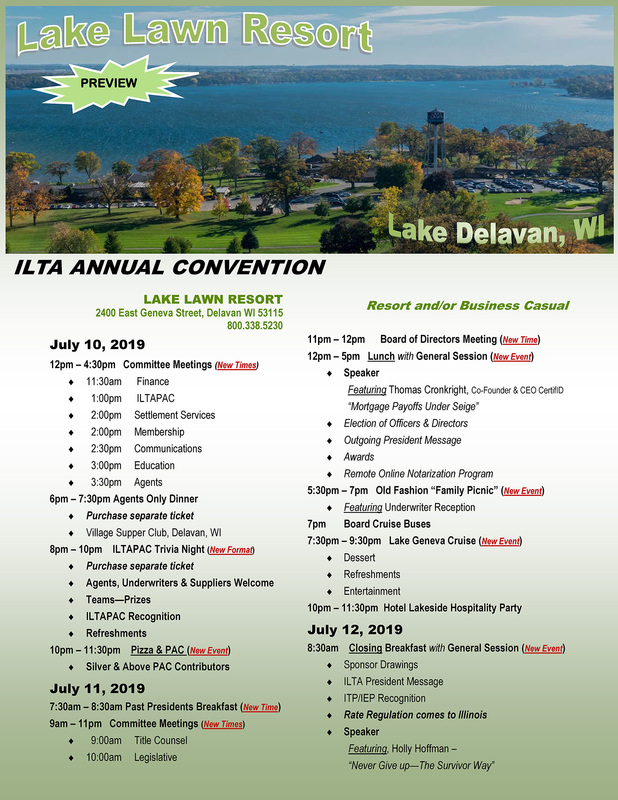 The ITP and IEP designations are now in their 5th year and the ILTA is taking another step in helping our industry grow with the newest opportunity, the Michael D. Troutt Leadership Academy. What does it mean to be a leader? As stated by Warren Bennis: “Leadership is the capacity to translate vision into reality.” Andrew Carnegie states: “No man will make a great leader who wants to do it all himself, or to get all the credit for doing it.” Who is that leader in your company or who wants to grow to become a leader in the title industry? There will be a panel of leaders to talk about leadership and a national speaker that will talk about The Influential Leader. How will you take your company to the next level or develop the leader of the future for your company? The Leadership Academy is November 1-2, 2017 at Eaglewood Resort in Itasca, Illinois. The application process is now open. Attendance will be limited to 36 title professionals. Deadline to apply is September 1, 2017. Need based scholarships will be available. Opportunities for growth are all around us. ILTA strives to give its members as many opportunities as possible. We are all in this industry together, and together we can keep it growing. Advocating Growth Wake Up & Smell the Security!